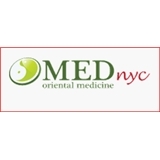 OMED NYC (New York) - Book Appointment Online! Our mission is to help you to restore your health and take in charge of your health. Traditional Chinese medicine is an ancient practice still used by millions of people all over the world -- even after the development of modern scientific medicine. Yoko is a highly skilled practitioner of this ancient medicine, which has been practiced since 100 BC. As a Westerner, I wasn’t sure what to expect. After going to Yoko for acupuncture and seeing that my health has improved as a result, I recommend Yoko to my friends and family.